Latest Creation: Skyward Sword Zelda! 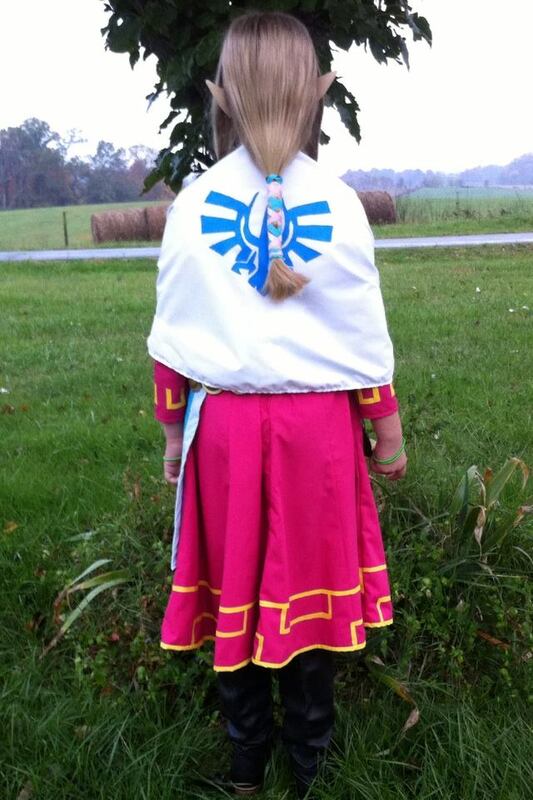 Here is the completed Princess Zelda costume I made for a customer. She was kind enough to send pics of her daughter in her costume! Costume entirely made by me (including belts). Bracelets, ears, and ribbons provided by customer. 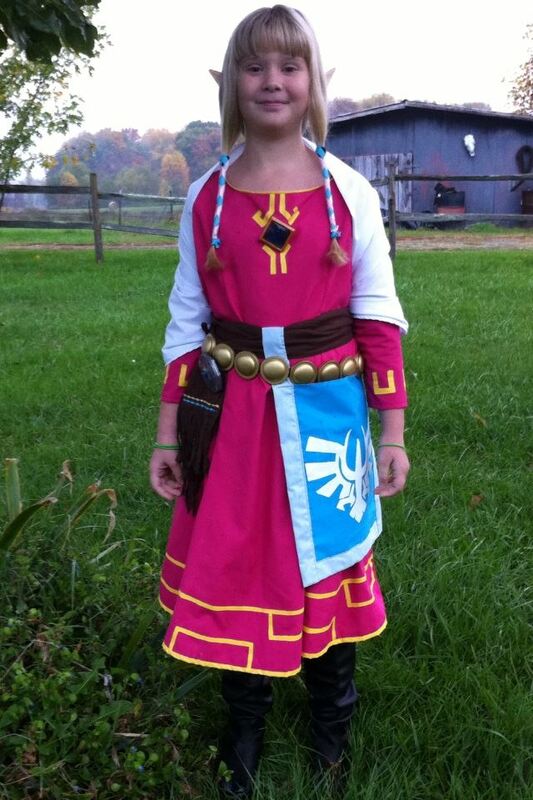 The pattern for the dress was drafted by me using the measurements provided and my own Zelda costume as a base. The customer wanted me to make it larger so that it can be worn longer. I ended up making the dress expandable by another 3-4″ and the length is longer so that as she grows she can wear the dress. The white sailcloth is also cotton and the crest was painted on by hand using Tulip Soft matte fabric paint in “Cool Blue”. The blue apron was made using cotton and backed with buckram for stability. The crest was painted on by hand using Tulip Soft matte fabric paint in “Glacier White”. The brown belt is made from the same fabric I made mine in and the decorative edges were sewn using the same designs. The gold belt is made the same way as mine with the wooden discs and domes from American Woodcrafter Supply (2″ discs and 1 1/2″ domes, respectively). They were glued together with E6000 and then primed and painted with acrylic and spray gold “Craft Touch” paint. They were then sealed with a clear acrylic. The domes were glued onto a brown grossgrain ribbon with E6000 to provide flexibility yet very strong bond. Overall the customer was extremely happy with the costume and I couldn’t be more happy! She provided the photos for this post. Thank you so much Heather for giving me the opportunity to make your daughter’s Halloween costume! Previous Site and Costume Updates!